FBI Special Counsel Robert Mueller has been supposed to be investigating and charging people who allegedly violated American law over the 2016 Trump campaign “collusion” with Russia. So far, no collusion charges. But now Mueller’s team is being accused of violating the law it is supposed to be enforcing against others. By releasing details of the Roger Stone indictment illegally. According to a report at the Gateway Pundit, a new court filing shows CNN was in possession of a sealed indictment long before the court ordered its release. “For weeks, we have been hearing CNN claim again and again that their presence at Stone’s home ahead of the FBI’s pre-dawn raid was a combination of ‘luck’ and good reporting. They have since built on that fairy-tale, describing their propagandist filming of Stone’s arrest the result of watching ‘unusual grand jury activity’ in the days leading up to January 25th,” the report said. “However, we at The Gateway Pundit reported exclusively how the metadata on a draft copy of the indictment obtained by a CNN reporter and sent to Roger’s attorney after his arrest showed a save date of two days prior to the January 25th unsealing of the court documents following the Stone’s arrest,” the site reported. At the time of Stone’s arrest at his home on Jan. 25, the indictment remained sealed, it explains. But a camera crew was on the scene – even before the FBI. “The copy of the unsigned indictment provided by the reporter appears to have come from the special counsel’s office,” the court filing states. “This was meant to taint the jury pool and frame the longtime Trump adviser as some sort of violent criminal mastermind that required a heavily armed 29-member FBI strike force raid on his home, despite Stone being charged with non-violent process crimes on immaterial matters,” the site explained. 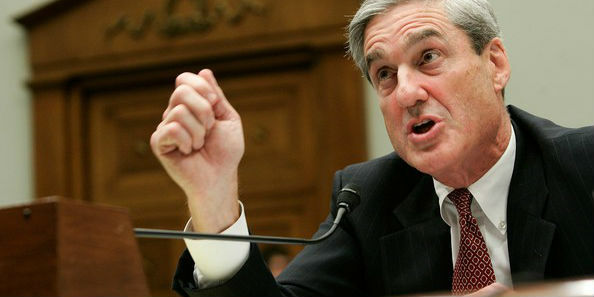 Mueller’s work, of course, has been the subject of much speculation in the nearly two years he’s been investigating the “collusion” allegations, which were triggered when the Obama FBI submitted to a secret court in Washington an opposition research document paid for by Hillary Clinton as evidence. The court then authorized the Obama administration to spy on the Trump campaign. Both House and Senate investigations have concluded there’s no evidence of collusion. He reported FBI agents applying for FISA warrants in counterterrorism and counterintelligence cases simply left out material facts.